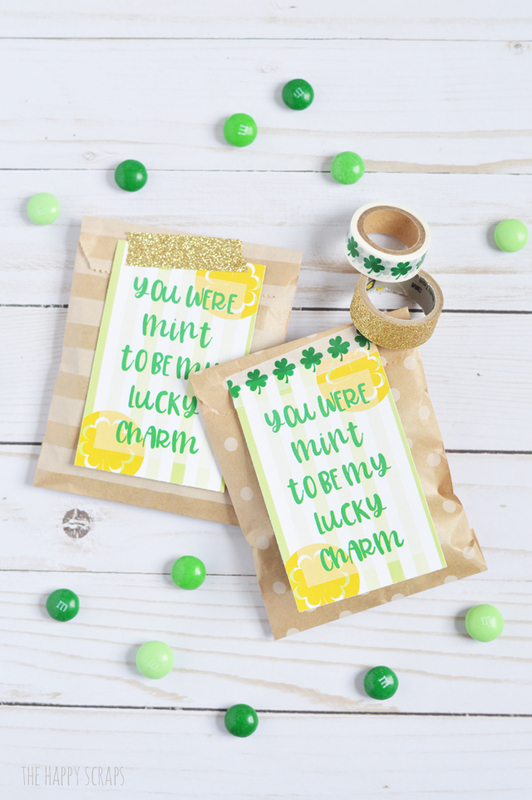 I’m not going to lie, sometimes I feel like when I put these little gift ideas together that they end up being kind of cheesy, but I like putting together little gifts for different holidays. I’ve always tried to celebrate St. Patrick’s Day with my family but whatever I do is usually pretty simple. Last year I put together a simple Green Breakfast and we usually like to have Corned Beef and Cabbage for dinner. Have you ever tried that? Once we finally tried it, we loved it!! I also enjoy decorating for all the holidays. I haven’t gotten my St. Patrick’s Day decorations out yet, but I’m hoping to do it today. We’ll see. 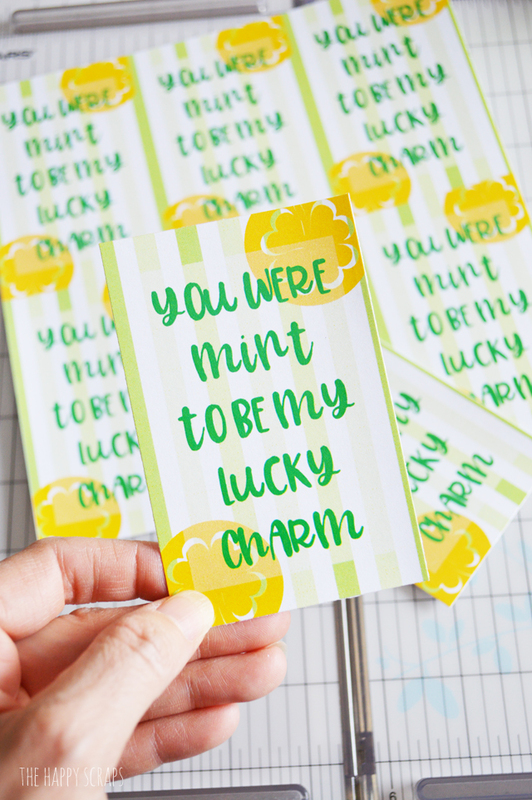 Anyway, today I’m sharing this fun little You Were Mint to be My Lucky Charm Printable Tag with you. It could be used in so many different ways, but this is one that is easy and fun. It could be given to your kids, your significant other or even a good friend! Print out your tags on some white cardstock and then use your paper trimmer to cut them apart. 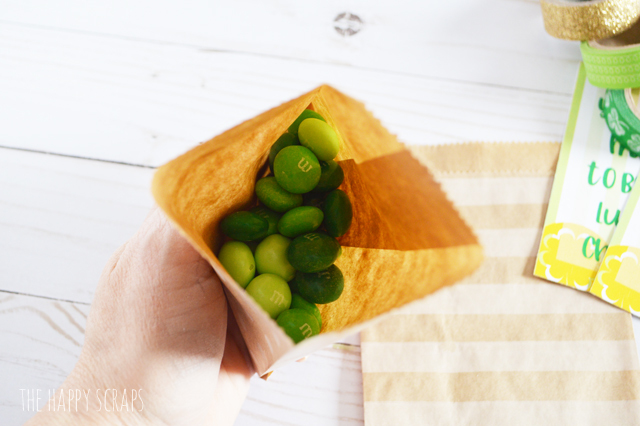 Fill your little treat bags with the candy that you chose to use. Fold the top of the bag down and staple it shut. 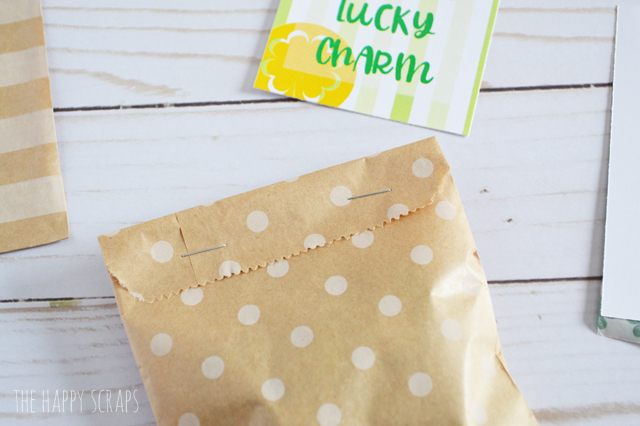 Add your tag to the front of the bag and secure it in place with some washi tape. 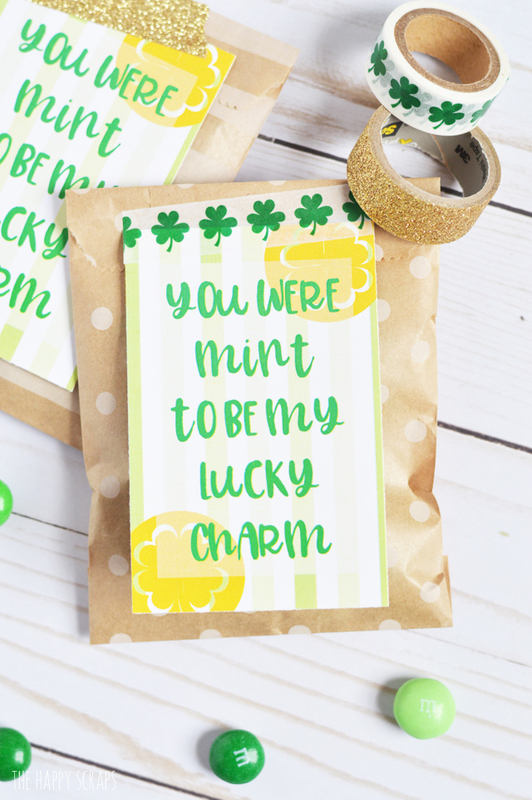 And you’re finished up with these You Were Mint to be My Lucky Charm Treat Bags. 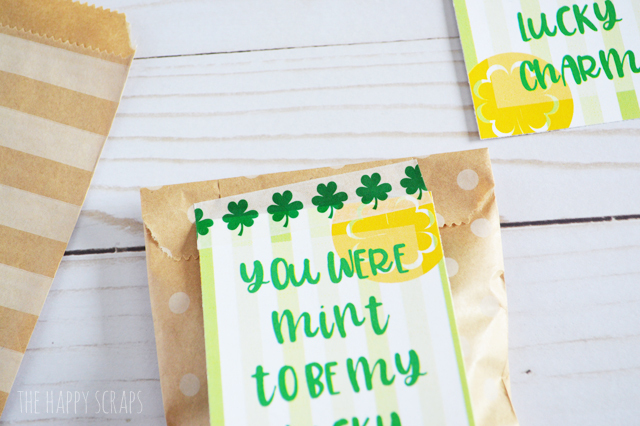 They are a super quick and easy little project! 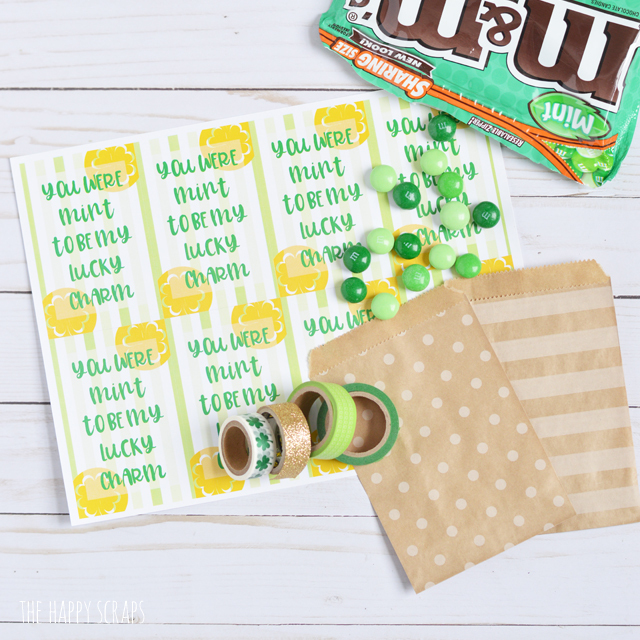 Quick and simple projects like this are some of my favorites! 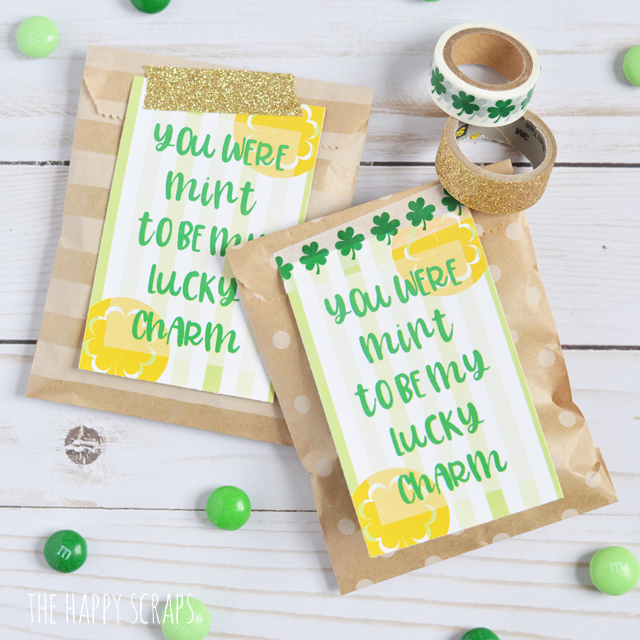 If you enjoyed this project, then check out some of my other gift ideas in the gallery here. Great visiting teaching goodie. Thank you! I’m glad you like it. 🙂 It would be great for that!